My lovely muffins! Please excuse the muffin on the left, it was my taste tester muffin. With thanksgiving fast approaching, the start of the holiday season is here. I could feel it yesterday, as I ventured out to make some baked goods. Now, for many, this may be a common occurrence. Yet, for me, this is a huge stepping stone. I am guilty of buying bakery goods and claiming that I just whipped them up myself. Yesterday was different. 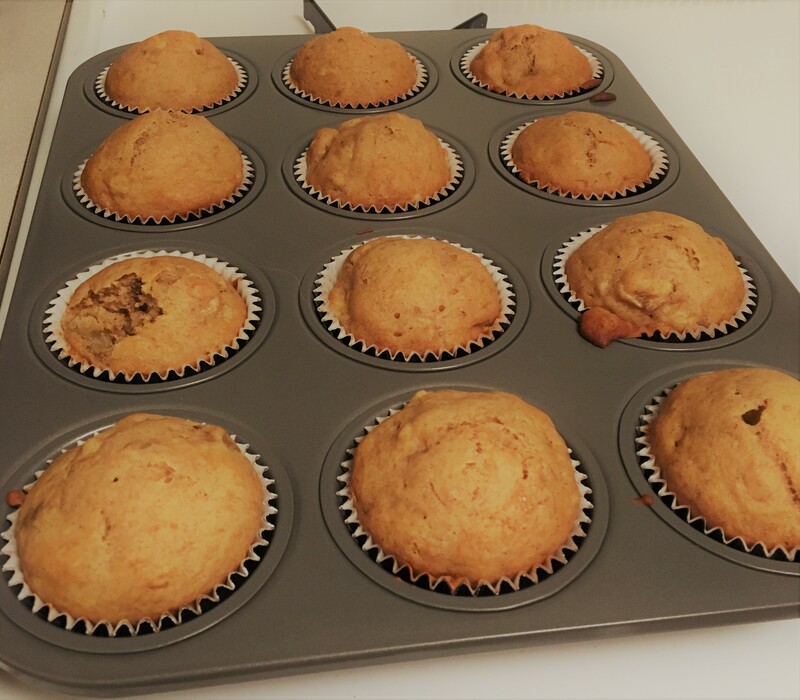 I actually went out and bought the ingredients for cinnamon, banana bread muffins and made them myself. The relaxing process of baking reminded me of how much I miss baking classes of undergrad. The great thing about baking is that it reduces food waste. I am a banana lover. So, throughout the week, I stock up on bananas. Bulk buying of bananas increases the risk of them going “bad” before I even get to eat them. Therefore, instead of throwing out all the “bad “bananas, I incorporated them into a recipe. With as many as 49 million people considered food insecure, this holiday season may not be as merry as others. Therefore, it is important to cherish your blessings but, also, be aware of those who are less fortunate. The infographic on the side shows that with a reduction of food waste, we all could make a difference. Please consider your local food shelters this holiday season. A little bit of generosity goes a long way.